Even if you don’t have a laundry room in your house, we all have laundry tasks that need to be completed daily, weekly and monthly. While some of the tasks below are specific to a laundry room, there are others that are still relevant if you only have a washing machine in a corner or your home somewhere. 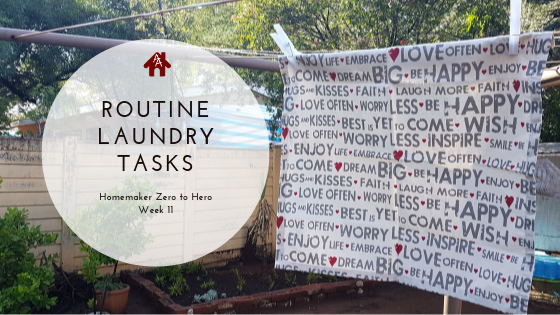 Before we begin, the list below is making use of the Index Card Cleaning System that we created in Week 1 of the Homemaker Zero to Hero series. You are welcome to take a look at my YouTube demo on the index card cleaning system if you are unfamiliar with it and want a quick overview of how it works.